When you hear the phrase “SEO copywriting,” what comes to mind? You probably think of website content and blogs. 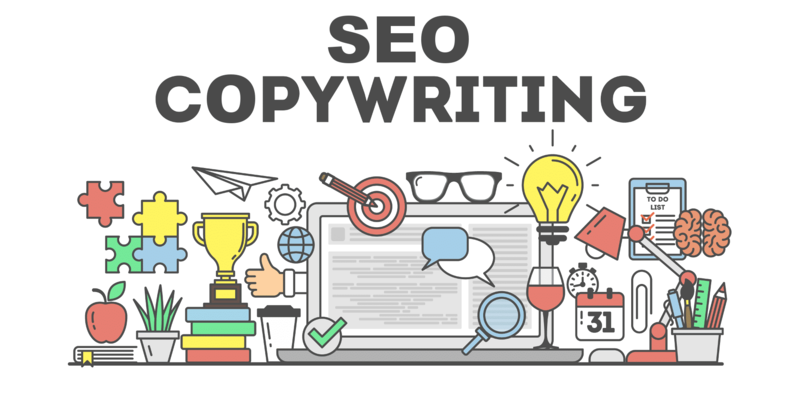 These are part of the whole, but more broadly, SEO copywriting is the ability to write copy that ranks well in search engines. It can be easy to do and often is a great way to gain good, valuable traffic to your website that does not cost you hundreds of dollars like paid advertising would. While gaining traffic using copy is great, it's not solely about speaking to the search engines. Good search engine optimized content is just as much about engaging your readers, helping sell your product with trust, and helping you build authority on the Internet. You not only want the SEO to get the traffic to your site, you also want that content to have purpose once the traffic is there. Before you really dive in, you need to set up a structure for your content. You need to establish what you want from your future content. Your writing will become more effective and simpler if you have specific goals and a vision of the end product in mind. Think about where in your content you will place your keywords and any links you use. Establish a framework for headings and paragraphs. Knowing where to place these things will make it easier to set up, and will also provide a better experience for your readers and can increase the shares of your content. If you have a good foundation set up before you begin, readability should come easier. The easier your content is to read, the more likely it becomes that a reader will share it with others. Make sure your paragraphs have one thought instead of each one being packed with multiple topics. Add space between paragraphs to help the reader visually separate the ideas. This makes it easier for the reader to consume your content again, creating a higher chance of them sharing it. This goes along with readability. Most people that read or come across an interesting blog want it to be quick and to the point. They do not want a long and drawn-out article. Use bold type to draw attention to each topic of the blog. It also helps if you make your content read like a list of items, so numbering your points or making them bullet points draws the reader in more. Proper proofreading is crucial in any copywriting. You can have wonderful and engaging content, but if a reader comes across one mistake, it might negate the whole feel of the content. Simple grammar and spelling errors will make your credibility take a nosedive. Sure, spellcheck exists, but it is not guaranteed to catch everything. The safest policy is to have a second person read your content and see if they catch anything you missed. If you have done your research for a piece of content, then you need to make sure that you give your research the credit where it's due. The Internet is all about sharing, but you need to make sure you share it correctly or you could start receiving letters from lawyers and webmasters. Make sure you take the time to learn about correctly citing authors and blog writers. It will be worth it in the long run. The Internet has a seemingly short attention span, and most people want what they are looking for fast. Articles that include photos or graphics have a view rate of up to 94%. Not adding a visual to your content can be a costly mistake. If you take the time also to optimize your images correctly, they will also have a good rating with SEO. To get better SEO on your images, make sure you have a descriptive caption under your photos or images. People visiting your post read those captions, as do the search engines. A great caption under your image improves the indexing of your content and can help you match keywords as well. If you write your content with a passive voice, it becomes more wordy while watering down your message. If you write in an active voice and sound like you are having a personal conversation with your reader, your message comes across as crisp and direct. This is more persuasive and engaging to the reader. Before you even start the process of writing your content, it’s important to know just who you are writing for – your audience. You can do all the right things to get your content to rank well, but if you do not have content that appeals to the particular audience or consumer you’re trying to reach, it will never really work well, and you won’t find your customers. Do your homework before you start and it will pay off big in the end. Tools like Google Analytics can help you keep track of who makes up your current audience. There are many other resources out there to help you get the right keywords for your topic and to make sure you get it optimized right in a search. If you take the time beforehand to make sure you can connect with the correct audience, you will be amazed at how many visitors will come to your website and blog! If you want more information on copywriting, check out Virtual Market Advantage’s blogs, such as this one that goes over some copywriting exercises, and this one that explains what makes good copywriting. You can also learn about evergreen content, or content that will remain relevant for years to come. Time to get writing!